Carnitas Carmelita, Chattanooga TN – Marie, Let's Eat! 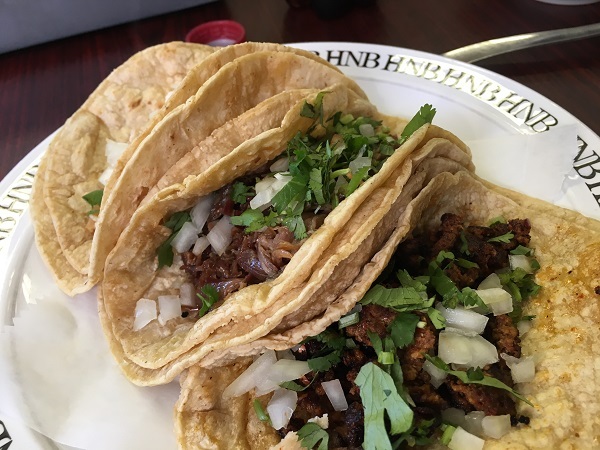 Three of our readers had recommended this tiny little shack on Amnicola Highway as a great place for authentic Mexican food. I had lunch here not long ago and wasn’t disappointed. Amnicola is a long industrial road that connects TN-153 with downtown, mainly following the river. It’s become a pretty handy backup corridor to get anywhere of interest from the I-75 side of town where we live in the event of any backup or snarls on the interstates, because while it’s a little farther out of the way than using most surface streets, there are far fewer traffic lights. There aren’t very many restaurants of interest on this stretch of road, but there are a handful that have caught my eye while driving, including a curious little 24-hour place called Track’s End that I still intend to visit. Carnitas Carmelita, however, is not one of these restaurants. Had people not told me to look for it, I’d probably have never seen it. It doesn’t have a particularly noticeable sign and the building is as nondescript as they come. 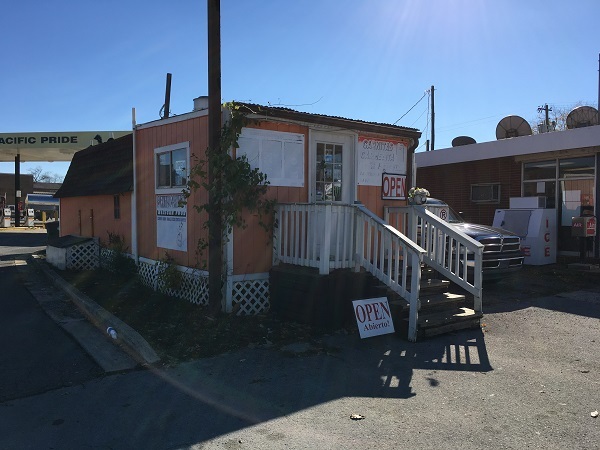 The little orange shack opened in 2012 and it’s mainly a carry-out place, though there are three small tables. Maybe eight people can fit in here, although not comfortably. This is not a place for the office to decamp for a big department birthday lunch. You’ll want to bring a bag of these tacos back to your desk, though, because they are really good. 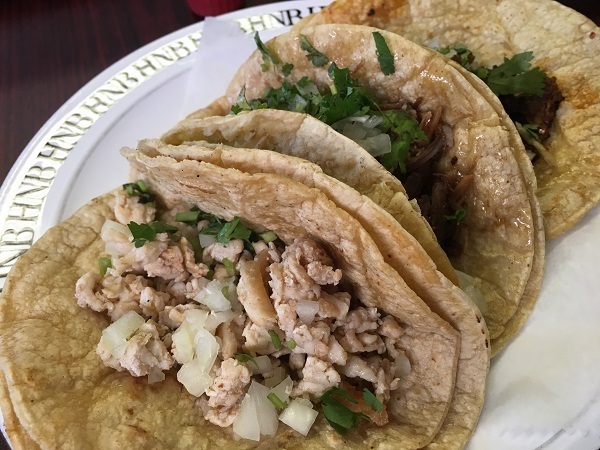 I like to order chicken, pork, and sausage tacos at traditional Mexican places like this, to get a nice variety. These were really tasty. Everything is made fresh to order and they load you down with sauces and extra onions and cilantro. This is a pretty good place to kick back and try lots of different flavors for not a lot of money. The service was friendly and the food was good. I wouldn’t mind coming back with a book another day and trying several more tacos. Posted on January 27, 2017 by Grant G.Posted in chattanooga, mexican, tennesseeTagged chattanooga, mexican, mexican - traditional, tennessee. Amnicola certainly appears to be a grotesque misspelling of Amicalola Falls, GA. As it turns out, amnicola is actually a type of snail. Who would’ve thunk it? It’s funny you should mention that. Thursday night, as I was plugging this restaurant into our travel map (this one), I asked Marie “Where the devil is Amnicola, anyway?” and looked it up. I was just as surprised as you were. I thought it was some river or ghost town, not a snail!